Carnival Gines began in 1987 as a modest party but soon took root among the entire community, as neighbors were encouraged to participate by singing in different groups and dressing up for a parade. The first group contest was in 1990 contemplating only chirigota modality. In 1990, the singing groups, called “chirigotas,” started competing against one another, as each group vied to be viewed as the best of Carnival. During its early years, community members celebrated Carnival in the traditional covered Pavilion, a large space that symbolized this was a festival for all citizens. The change of location was due to the significant growth experienced in a short time the Carnival, which began to establish itself as an important festival in the town. The celebration grew larger and larger, each year with more “chirigotas” and more people dressed in costume. In more recent years, the Carnival was moved from the Pavilion to Jose Olivares Hall. The decision to change location, made in 2007, did not have the support of the Carnival groups nor the general public. It seemed that Carnival had lost some of its prestige, and as a result, less people chose to participate in the festivities. The following year, Carnival not only returned to the covered Pavilion, for the first time, they add “cuartetos” modality in the contest and an extra day to the celebrations. 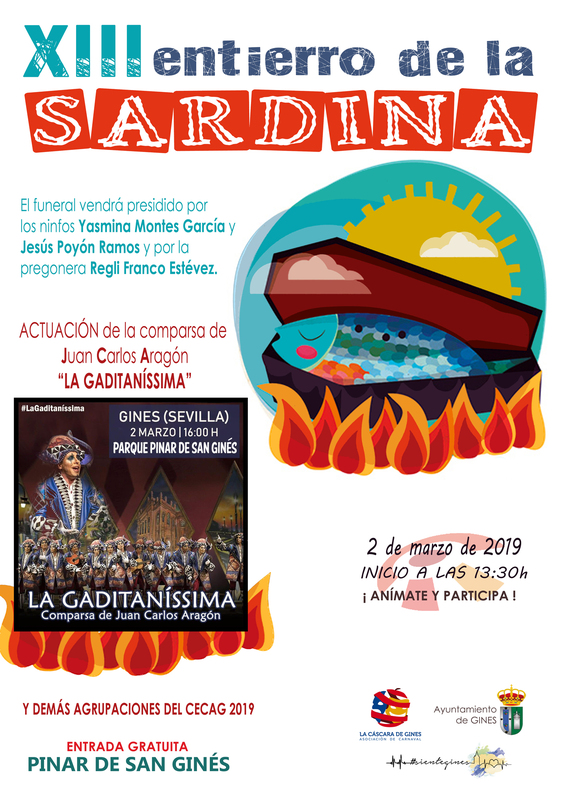 Commonly known as “El Entierro de la Sardina,” (literally “the Burial of the Sardine”), neighbors gathered for a mock-funeral procession (where pall-bearers carry giant sardine figures) to commemorate the end of Carnival. It was celebrated the following week at the Carnival enclosure la “Pará”. 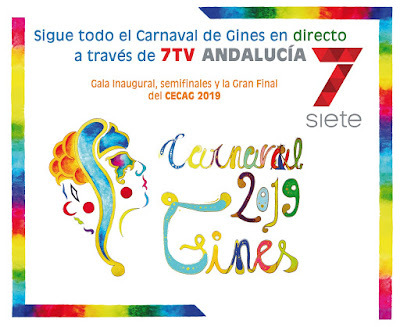 The Carnival of Gines thus not only regained its popularity, but grew transformed into a tradition no one from the community nor neighbors from nearby towns would dare to miss. Since 2009 the Carnival was retransmitted live on television without interruption to the present edition. The musical aspect of Carnival continued to evolve and expand from that point on. In 2012, the competitions separated into the Groups of Gines Carnival Constest (CECAG) and the Street Carnival. The CECAG was to be held in the Theatre "El Tronío.” This allowed a finer musical experience for participants and spectators alike, as the theatre offered better acoustics and the opportunity for more props, movement, and attention to detail. Pre-qualifying and Finals phases were instituted, as more and more groups from all over Andalusia desired to take part in these events. The evolution continues, and in 2013 they add to the contest “comparsas” modality and another semi-final day to the celebration. A total of 47 groups, hailing from the regions of Seville, Cadiz and Huelva, took part in the growing celebrations. The Carnival of 2014 included another added day of festivities, which included a Proclamation Gala of Nymphs and the Proclamation of Carnival. 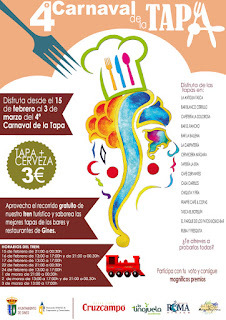 In 2014, the Carnival Contest was held from 13 to 21 February at the Theatre "El Tronío" which featured 50 participating groups that came from all over Andalusia. This was completed with a grand Parade, Costume Contest and the Burial of the Sardine in the Culture Park. As the Carnival of Gines continues to grow, its influence continues to reach beyond the boundaries of the town itself. 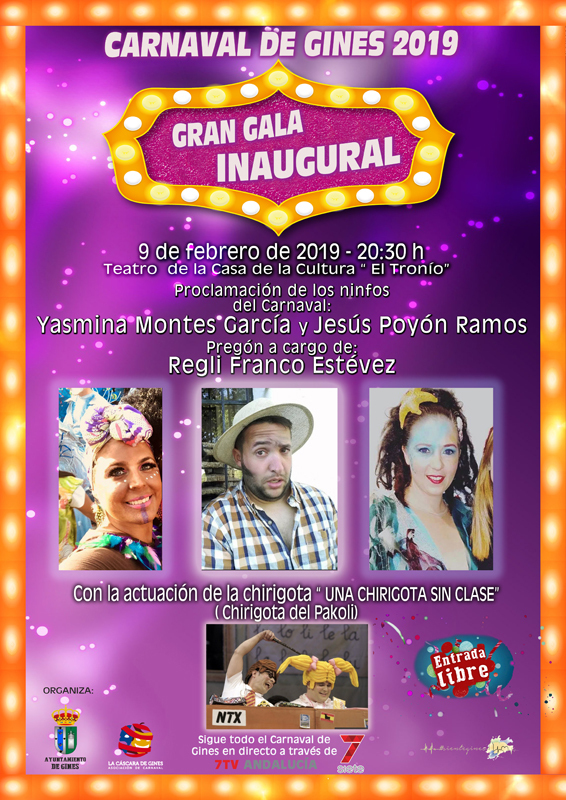 It gathers and enormous amount of media attention and is well known of in the culture of Carnival throughout Spain, thanks to the work done throughout the year by the hard work being done in the Municipal Information Office in Gines. 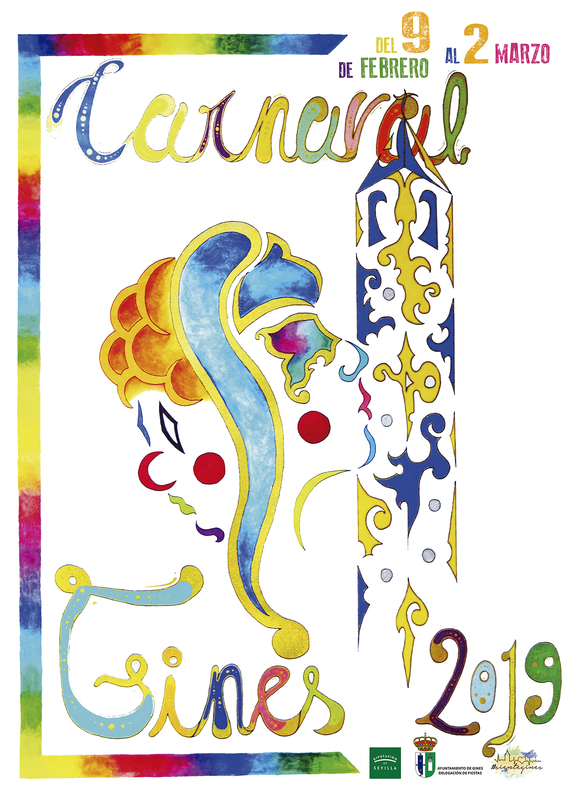 Thanks to the active participation of its citizens, along with the collaboration of the Carnival Commission and City Council, the Carnival of Gines is one of the town’s grandest and most important community celebrations every year. nàng vội vàng tiến lên trước Nhạc Thành, biểu ca không biết đấu khí và ma pháp không thể trở thành đối thủ của bọn chúng. - Hân nhi, muội đối phó với một tên là được rồi, ta không sao. Sắc mặt của Nhạc Thành trở nên âm trầm, Tô Hân Nhi cũng chỉ có tu vi tứ tinh Đại đấu sư, không thể đối phó một lúc với hai người, hắn vội vàng khẽ đẩy Tô Hân Nhi phía trước ra, hôm nay hắn muốn biết mình với những người biết đấu khí, ai mạnh ai yếu.